It might, for the moment, look like A4, but A5 is designed to perform and work quite differently. Our review is based on analysis of 35 different published car reviews and data available on official Audi UK website. There is sufficient space for back seats, but its design looks like a coupe. It is a perfect car for buyers looking for more power and versatility. Audi A5 perfectly built cabin makes the long journey smooth and comfortable. You can use it as a daily commuter for long distance travelling. Moreover, considering Audi’s manufacturing technology, there is nothing less from an engine to a small piece of interior part. 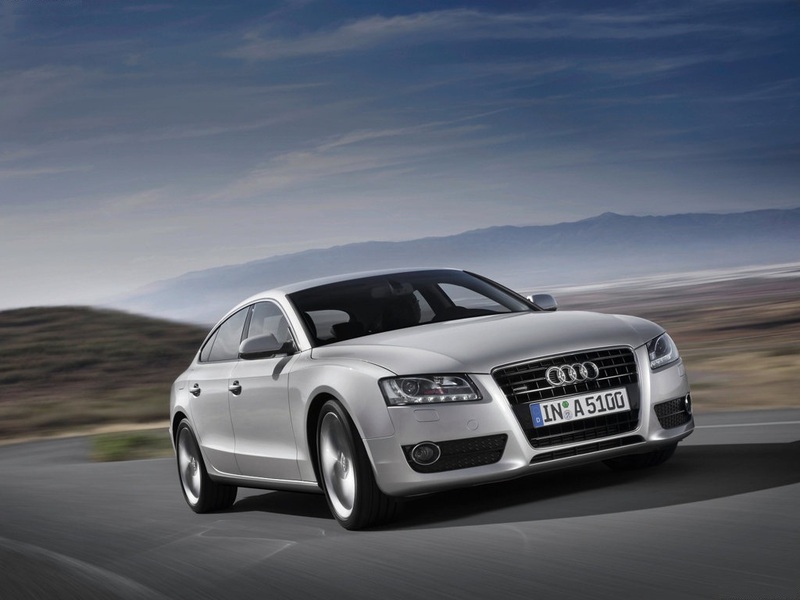 Audi A5 is stunningly amazing car providing enough room like Audi A4 and added sports versatility. It has the fine line of engines you can choose from petrol, diesel, V6 and four cylinders. However, it is not a pure sports car to thrill real sports buyers. If you consider the Audi A4 comfort and luxury, A5 may lack some of it. Nevertheless, it offers everything where Saloons failed to provide. The best alternatives are BMW 3 Series and Volkswagen Passat CC. Audi A5 starting price is low considering a sportback with A5 sportback 2.0 TDI £25,465 and the highest price is 3.2 FSI quattro S tronic £38,755. When it comes to power, all the engines offer sufficient horsepower. A5 starting with 2.0 TFSI, which produces 180bhp. It is the cheapest option in this class and offers good acceleration with 0-62mph just in 8.1 seconds and fuels economy is also good with 21mpg in the city and 31mpg on the highway. There is also turbo charged version of the same engine producing 211bhp 0-62 just in 6.6 seconds. Not only this, it is available with 7 speed S tronic transmission package plus Audi Quattro. Th e highest performing engine is 3.2 FSI, which produces 265bhp and comes standard with S tronic system. However, the diesel engine is more famous among the reviewers. Most of the car reviewers focus on buying the low cost diesel option because it offers good fuel economy, good engine sound and sufficient power. Considering the A5 sporting abilities, it offers comfortable and smooth handling on tough corners. However, it lacks the pure ability to manoeuvre, but you must consider it is a sportback for four people and performs very well. When it comes to cornering, A5 is simply impressive with excellent grip and body control. Most of the car reviewers are impressed by the handling and states “It is the best you can get from four person sportback”. There are many high-tech features like Electronic brake force distribution, Electronic Stabilization Program and Antilock Braking System. Audi A5 interior is full of standard features and plenty of room for even tall passengers. The shape is perfectly designed for noise reduction inside the cabin even at high speed.. However, clutch pedals are criticized by most of the reviewers because they are not comfortable, and you have to push them with your toe. A5 seats are very comfortable, even if you are a tall person. Some of the standard features include in the base model are 1-zone Climate Control, Electromechanical parking brake, Interior chrome package, Micrometallic inlays and Driver’s Information System. Exterior is outrageous and attractive appraised by many reviewers. It is one of those cars that will attract every eye on the road. Some of the exterior features include Bumper ‘blade’ in platinum optic, Chrome rolled exhaust, Chrome fog-light surround, Xenon headlights with LED front lights and LED rear lights, and if you choose S line trim you’ll love the extra perks. There is no crash test data available for Audi A5, neither crash tested by Euro NCAP. However, it is based on A4 that received five star ratings. There are many standard safety features like front and side airbags for both driver and passenger. Audi Quattro technology is not just for high performance, it provides safety by varying the drive to all wheels to make sure there is no loss of grip. There is also Electronic Stability Program, which is a combination of safety metrics. The other safety features include Anti-lock braking system, Anti-slip regulation, Electronic brake-force distribution, electronic differential lock and electronic stability program. Audi has an outstanding repute for making reliable cars and A5 is one of them. A5 comes with three years or 60,000 miles warranty. There are no major known problem reported related to Gear Box, Engines and Body. Check your local car dealers to book a test drive and brochure. 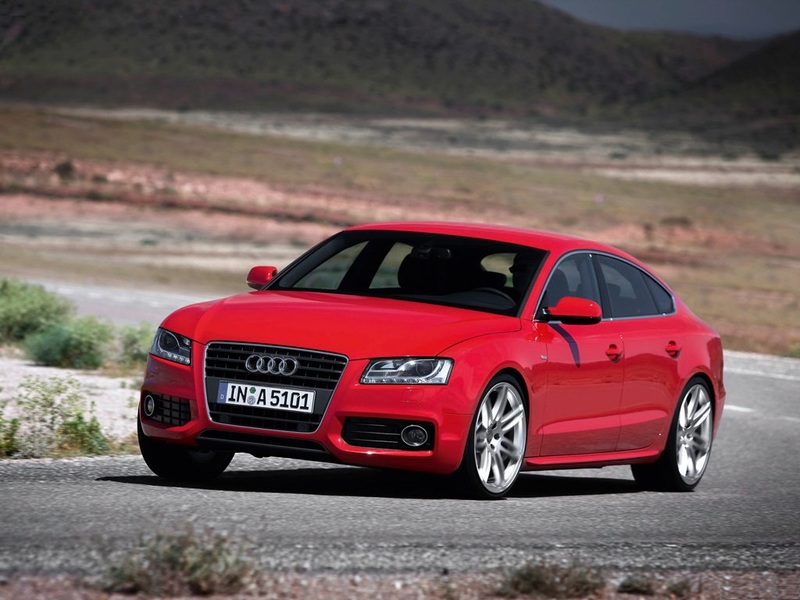 Audi A5 is one dream Sportback for people looking to buy the sports saloon. Price range is also the same considering the class and there are only few alternatives available. However, A5 is built to perform like a Sportback. It is also a hatchback for some because rear hatch is like a hatchback. It is half saloon and half hatchback with sporty performance and plenty of room inside. A5 is the best choice if you want to make your daily driving experience memorable.